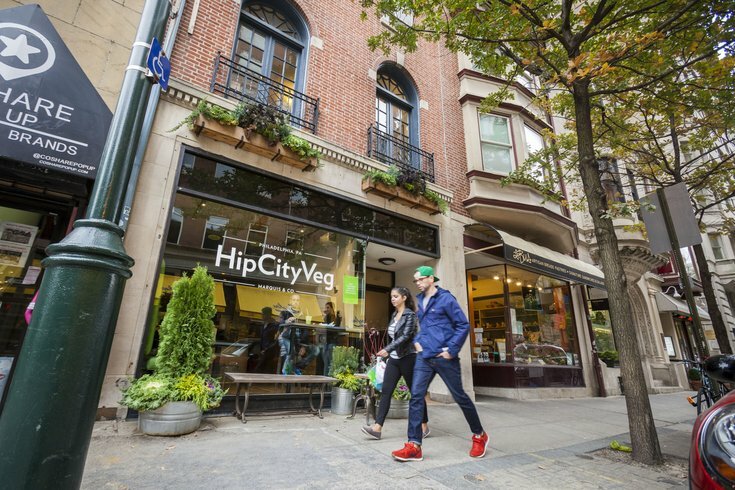 HipCityVeg, 127 South 18th Street Philadelphia. It's not very clear whether calling someone a "foodie," a term that took root in the early eighties, is supposed to be a compliment or an insult. On one hand, it conveys above-average knowledge and enthusiasm for all things related to eating. Why would that ever be a bad thing? Well, because it falls squarely under the umbrella of "bougie" characteristics that strain for a refinement not technically deserved, according to those foodier than thou. Look at this way. Foodie culture is why we have a gourmet grilled cheese spot at Reading Terminal Market. End of the day, it's a creative revolt against mechanistic routines in our diets. Take it as a compliment. In its latest analysis, personal finance site WalletHub looks at the best foodie cities in the United States. Philly takes a lot of pride in its restaurant scene and neighborhood CSAs, for good reason. Authentic world cuisine can be found all over the place, high-end restaurants pop-up regularly in Center City and adventurous experiments like Fishtown's Mad Rex show we're willing to explore new territory in dining. WalletHub's methodology takes multiple factors into account—everything from diversity, accessibility and quality to the affordability of groceries and restaurant meals, the number of restaurants per capita and a variety of other desirables. Out of 182 cities, Philly came in respectably at number 14. We were ranked 86th in the general category of Affordability and 15th in Diversity, Accessibility and Quality.